I love the thought of it but from experience it doesn’t work. Never being the dumper my feelings stay loving and romantic hers do not. When the friendship is unbalanced it will lead to fights and the eventual removal from your life. Now again it does depend on circumstances. I wish it was possible but the only possible way I see this happening is with time and I mean a great deal of time for the romance to fade. Honestly I think people say it and never mean it, my ex’s have often given that cliché but when I need a friend they don’t want to be around. Then again maybe I just dated horrible people. Thanks for stopping by I totally get what you mean, I do believe some people say it to make the break up less awkward. Why say something you genuinely don’t mean. Not fair on the other person. It baffles me but I’ve experienced it so many times. Sometimes it’s just a cliché to get out of the moment and once they’ve left they no longer need to worry about your feelings. Breakups are full of cruelty even if it’s unintended. Friendship that start from pain are always going to be difficult but it’s a thought provoking question. I don’t know if there’s an answer to this, but it’s certainly interesting. My personal opinion is that if a couple were to break up – especially if one brought about the break up, there will be a sense that the invested time and effort was wasted by at least one party. In saying that it would make no sense to remain ‘mates’ with such a person. The other thing that needs to be considered is that one party will move on first, then what? Feelings are more than likely to go into limbo, all for something which in the grand scheme of things, should have been avoided in the first place. I love this! It is exactly what I have been trying to explain to people! Great read! I do believe two people can be friends when their relationship ends under certain circumstances and obviously depending on the mindset of the two individuals. I feel that most relationships lose sight of what is important these days, and that is being FRIENDS in the first place. Sure, people are “in a relationship” with each other but its a relationship that now has become a habit and in certain situations an “obligation”. Some people stay together for their children, some stay together because they don’t want to start over, some people are together because they think they won’t find anyone better… What I am trying to get at, is some people are in relationships for the wrong reason. They have lost so much respect for each other that some can barely stand each other. In those cases… no, I don’t believe people can be friends. People are selfish. When a title is put on a relationship, expectations begin to form. “You can’t go out, you can’t have social media, you need to be home at this time, you need to change, you’re not single anymore… you can’t do that.” Well, naturally… people don’t like being told what to do and being bossed around. We begin to try and control the other person and expect them to still put a smile on their face and rise above our expectations. Arguing starts and then everyone BELIEVES that “every relationship is going to argue and fight” But does it really need to be that way? Take a llook at your closest friendships…. do you sit there and treat them the way you treat your partner? Do you disrespect them? Do you lie to them? Do you call the names and expect them to get over it because you were upset? No. We naturally treat someone that is “just a friend” different than a boyfriend/girlfriend or husband/wife. Why? We lose sight of what love actually is and just become attached to an IDEA of love. 2016 is the year where sites like Tinder, Plenty of Fish, Farmers only? or whatever its called.. is so popular. People bluntly say they are looking for a relationship and possibly “the one”… Well, this already erases the whole idea of being friends because two people match based off of looks and are most likely only going to see the positives about the person because that is what each individual is going to try and present. They want to give their best and make it appear they they are close to perfect because they dearly WANT a relationship that they go out looking for it. So, the circumstances in which two people can be friends is when they realize that what they went through was a learning experience. When they can realize that even though they went through hard times, possibly even cheating… they can admit that they lost sight of who they were because they let ideas CONTROL them and turn them into different people. If they can take something positive from their experience and be able to thank the other individual for giving them the strength to be able to endure the relationship and the lessons in it, then they are already one step ahead. We need to separate ourselves from all negativity and attachments we set and truly love the other person for WHO they are. If we can’t do that, then let them go. Thanks for the feedback on my blog! Your blog is awesome. I think being friends with an ex really depends on what the seriousness of the relationship was. I recently reconnected with an ex through Instagram after a few years and all was well. Maybe not right after the relationship because one person is always more hurt than the other. In time, I think it is possible. BUT my recent ex, I would never be friends with him! Really depends, I think. Thanks so much for reading and sharing much appreciated. I definitely agree that the serious of the relationship definitely plays s big part. You need to work on the after marriage as hard or even harder than the marriage itself. Yes we can, and we should… how much is a different question! It’s a topic so dear to my heart… pain is mutual, and nothing heals better than love and care! It’s a tricky subject. Usually after a breakup, I don’t communicate with my ex. I find that if they’re still lingering around, it makes it more difficult to move on and it can be confusing. Once time has passed though, and I no longer have any romantic feelings, then the idea of friendship with an ex isn’t so confronting or weird. I’m actually good friends with an ex, but it did take time. Couldn’t agree more. 🙂 Looking forward to read more great stuffs on your blog. This response will be rather short. I do not think that exes can be friends. We can be cordial but friendship is off the table until both parties have completely healed fro the relationship. from experience, it doesn’t work. it ends up just the two being hi-bye friends, the friendship doesn’t get to be taken care of when only one is working on it. So I think it’s safe to say that friendship is not even necessary when the passion is not there anymore. I have a question though. may i know your viewpoint on something? what if one in the relationship still has attachment towards the other who already lost feelings, but both of them are comfortable with being friends. BUT the attached one is usually the one trying to maintain or work on the friendship but he or she doesn’t mind whether he or she gets hurt or not? do you think it’s okay? Thanks for asking always happy to give my perspective. I think I get what you mean lol. I personally feel that if one person is still attached they can’t be friends because sooner or later they may try to be more than friends. Also for the person that is no longer attached anything they say or do in a friendly manner may lead to the attached person taking it wrongly. The fact that the attached person is trying to maintain the friendship may mean they don’t want the person out of their life completely also they may claim they don’t mind getting hurt but a person really does not no how they would feel unless they find themselves in that situation. I agree with you it completely depends what type of relationship it was and how it ends. As most relationships have huge feelings involved I think to be fair, when it ends it’s best to break it cut and dry. Continuing on does gives neithrt party any benefits. In my opinion, and this is just me, but I have had a long term friendship with my ex after dating for 10 months and having a terrible breakup, which I initiated. In fact, it was so terrible because he believed I had cheated on him and told me I ruined all his hopes and dreams of ever having a happy relationship after. However, it is possible, but you have to be willing to work around things, like your ex being bitter sometimes. My case is a little different from most, but in all honesty my ex was my best friend for years after our breakup. A year after our breakup, I helped take care of him after he broke his collerbone, and I still am close with him and all of his family. It’s been almost 7 years since we broke up, and he’s even met my current boyfriend and became friends with him. The difference is my ex is a very lonely person, and while he might be bitter and hate me, he also understands that I’m one of the only people who have ever taken the time to understand him and all of his quirks. We’re just lonely hearts looking for better days. My ex and I have remained friends for 4 years following our break up. My friends and family love him so much. He and I visit each other, FaceTime and talk on the phone. I cherish him and our friendship so sooo much but could never see us dating again. Recently it dawned on me that I have never really seen him date anyone else since we broke up. I realized that perhaps he still loves me and hopes that there’s a chance. Now I feel selfish for trying to maintain the friendship. I wonder if by me staying in his life that it’s preventing him from moving on. Thanks so much for taking time to comment and share your experience. It’s good you have managed to remain friends for such a long time, the fact that he hasn’t dated know one in them four years could be a sign that he still loves and is attached to you or maybe it could be a coincidence. He may also believe that a friendship could blossom things again, it’s such a hard situation to observe and conclude. Hey, your blog is really great! I’m glad you came across mine or i would have never seen yours. I think that it’s possible for exes to be friends. It really depends on how the relationship ended, whether it was on a good note, bad note or mutual. You guys might not have the same level of friendship you had when y’all were together but i think it is possible. Me personally though, Im not friends with mine lol. I don’t think my exes and I can be friends. I tried, probably prematurely, and it didn’t work out. If you’re an ex, I more than likely loved you and furthermore, if we’re done, I want to close that chapter and allow those feelings to subside – not erase, but just get buried. But then again, I’m a passionate lover – it’s either all in or nothing for me! I can definitely see where you’re coming from, tho. My first ex and I remained friends after our break up. Part of the reason why we both remained such close friends was because we ended amicably. Both of knew what exactly went wrong in the relationship and that we were just not meant to be together as a couple but as close friends. But for my second ex, we did not end on a good note and things got really rough between us before the break up. I’ve finally seen such a negative side of my ex dating him for close to 2.5 years. Nonetheless, we did had an amazing time together. There’s a possibly of being friends again but only if both of us have moved on and gotten completely over each other. Thank you so much for sharing your perspective and experience much appreciated. Your experience goes to show that the terms in which the relationship ended determines wether a friendship can even be established after. I think only after you are truly over your ex can you attempt to be friends. If there are any lingering feelings it just sets you up for more hurt. Doesn’t work. Its like leaving the door ajar, just in case, and putting your foot in it to secure one’s ego. We sometimes like some familiar territory to cave back to when things do not work out in new lands, someone who can understand us better. We even want to call them up just to see how things are working out for them. I’ve also realized that when people breakup they engage in a bitter unconscious competition to prove that one can be a lot happier without the other; new car, new wardrobe,Paris shopping and worst,they rub it all in your face on social media… But its toxic for both your ex and yourself. When the dog is dead, why keep it vele? 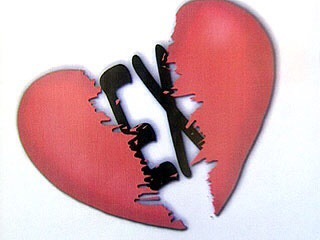 I have only 2 exes. One I am close friends friends with for over 10 years, the other I am not. It depends on the person’s character and what is revealed or nay have transpired during or prior to a breakup. I asked my ex if we could be friends after a week went by after we broke up. My feelings had obviously not gone away. But I was feeling a lot of pain having to go through each day with out talking to her. We stayed friends and we also got back together. Then more drama started and now we’re done for good. BUT I feel a little bit more closure knowing we really wouldn’t work out. I know some people can stay friends with their ex and they are totally cool about it. I just am not that kind of person I guess! I’m a witness you can be friends with an ex. I believe when it’s over it’s over. Sometimes people get alone better once it’s over. You have to without a doubt know it’s over this way no one crosses the line (ever). I’m not saying hanging out or anything I’m talking about being able to communicate like two grown people without arguing or dredging up old issues. i agree so much with you! it is such as struggle especially when you still care about your ex as a person… for me i test whether i’m ready by measuring my own feelings that arise when i think about him moving on and having a new girlfriend and whether i’d still be able to handle talking to him. but regardless i wont muster up much energy to keep that friendship tight – there really is not much point and there are so many inspiring and amazing people and friends out there! being friends with an ex can be a disaster. Esp. if the terms of the break up was mutual. a few years down the line, you see him and feelings come rushing back. At that time it might work but most times you always fall out for the same reason as the first. So I disagree with exs being friends. Its too much and temptation lurks with each encounter. Thanks for sharing your view on this we all definitely meet for a reason ! Your quote speak so much sense, I’d never thought about it in that way. I’m friends with him on facebook. We don’t whatsapp, messenger, or IMO anymore though. But it’s tricky if you’re still vulnerable. You tend to misinterpret the “likes” you get as “he still cares”.